Keep your hands on the wheel and your eyes on the road. Do not use your phone while driving. Parents, see important tips at bottom of this page. 1. Safety and Defensive Driving. Driver shall always operate the aforesaid Motor Vehicle in a safe, careful and legal manner. Driver shall endeavor at all times to take into consideration and practice all of the rules of the road that Driver learned from Defensive Driving School, observing most especially the “2-second rule,”* driving safely and courteously, and obeying all posted speed limits. 2. Seat Belts. Driver shall always wear a seat belt while operating a Motor Vehicle; and shall always wear a seat belt while a passenger in a Motor Vehicle operated by any friend (hereinafter collectively known as “Inexperienced Teenage Drivers”). In addition, Driver shall insist and require that any person or friend, while a passenger in Driver’s Motor Vehicle, must also wear a seat belt while in Driver’s Motor Vehicle. 3. Drinking and Driving. Driver shall never operate a Motor Vehicle while in a mental or physical state that would render said operation as unsafe. To wit, Driver shall never “drink and drive.” Further, Driver shall never be a passenger in a Motor Vehicle in which the driver of said vehicle is in a mental or physical state (e.g., “really pissed off,” “very angry,” “stoned out of my mind,” “drunk,” “wasted,” “showing off,” etc.) that would render the operation of said Motor Vehicle as unsafe. To wit, if an Inexperienced Teenage Driver or any other driver has been drinking, then Driver shall not be a passenger in said Inexperienced Teenage Driver’s Motor Vehicle. Driver, if Driver is not in such state, may volunteer to drive said Inexperienced Teenage Driver’s Motor Vehicle for said Inexperienced Teenage Driver instead. 4. Driver Stranded. Soft Touch agrees that if Driver is unable to operate a Motor Vehicle under the provision and agreements of Paragraph 3, above, Soft Touch shall, without question, go and pick up driver from Driver’s location and bring Driver to (hereinafter known as “Home”); or shall provide necessary funds to allow Driver to obtain a hired Motor Vehicle (hereinafter known as “Taxi”) to pick up Driver from Driver’s location and bring Driver Home. Said agreement shall also apply, without question or recrimination, if Driver is “stranded” because Driver did not take Driver’s Motor Vehicle to Driver’s destination, but rather that Driver rode as a passenger in an Inexperienced Teenage Driver’s Motor Vehicle and said Inexperienced Teenage Driver is not in a condition to operate the vehicle safely. 5. Errands. In and for consideration of the privilege so graciously granted to Driver to operate a Motor Vehicle upon the streets and byways of this great land of ours, Driver agrees that Driver shall commit to one round trip “Errand”, willing to do anything to drive, per day on behalf of and at the request of Soft Touch. Said Errand shall be for the benefit of Soft Touch and may include the driving of Soft Touch’s other children (Driver’s siblings) (hereinafter referred to as “Loving and Adorable Children”) to places of necessity and return. 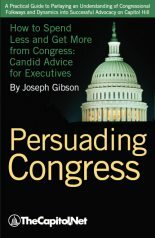 Soft Touch agrees not to unduly burden Driver with numerous Errands, but the quid pro quo to Driver is that Driver is estopped, prohibited and restrained from complaining or otherwise mumbling about doing one Errand per day, even if said Errand involves Loving and Adorable Children. “Round trip” means that if Driver is requested to take Loving and Adorable Children to a place designated by Soft Touch, then Driver shall be committed and be required thereto at a designated time and place to fetch Loving and Adorable Children and return them Home. 6. Gasoline Allowance. In consideration of Paragraph 5, above, Soft Touch agrees to provide for and grant a Gasoline Allowance to Driver of the sum of $ per week, to offset and reimburse Driver for the costs of aforesaid Gasoline in completing Driver’s obligations contained therein. a. For violation of Paragraph 1, above, meaning that Driver has operated a Motor Vehicle in an unsafe manner, and Driver receives a Ticket (which receipt will be prima facie evidence indicating that Driver has operated a Motor Vehicle in an unsafe manner) from a duly authorized Law Enforcement Officer of this great land of ours, then and thereafter, Driver shall be Restrained, Suspended and Prohibited from operating a Motor Vehicle upon the streets and byways of this great land of ours for a period of days equal to one-half the dollar amount of said Ticket, in addition to paying the fine and levy required by said Ticket. To wit, as an example, if Driver receives a “speeding ticket” and the “speeding ticket” has a fine or penalty of $30, then Driver’s not-God-given right to operate a Motor Vehicle shall be suspended for a period of 15 days [0.5 x 30 = 15], in addition to any penalty or fine imposed upon the Driver by the God-fearing Law Enforcement and/or Judicial System of this great land of ours. But, however, at Soft Touch’s sole discretion, said Restraint and Suspension may not relieve Driver from fulfilling Driver’s obligations under Paragraph 5, above, but shall apply only to the driving not undertaken at the direction of Soft Touch. b. For violation of Paragraph 3, above, regardless of whether or not Driver is “caught” by a duly authorized Law Enforcement Officer of this great land of ours, there shall be an automatic 90-day Restraint and Suspension (Drinking/Driving). 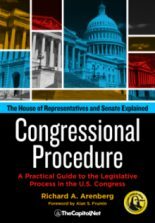 c. A second violation of Paragraph 1, above, within a 180-day period, shall automatically double the Restraint and Suspension contained in sub-paragraph a. above. 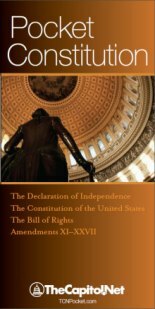 This shall be in addition to any penalty or fine imposed upon the Driver by the God-fearing Law Enforcement and/or Judicial System of this great land of ours. d. For a second violation of Paragraph 3, above, regardless of whether or not Driver is “caught” by a duly authorized Law Enforcement Officer of this great land of ours, there shall be an automatic 360-day Restraint and Suspension (Drinking/Driving). 8. Grades. Driving is a privilege, and not a God-given right. 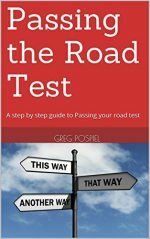 The privilege of driving will be wholly grade-dependent during the school year. If Driver maintains a GPA of 3.7 or above, no restrictions shall apply. If Driver maintains a GPA of 3.4 – 3.7, then School Days (during the school year, from Sunday evening through Friday afternoon) driving may be limited or curtailed in the sole, absolute and unreasonable discretion of Soft Touch, depending upon homework completion, school projects in progress and other factors to be determined. If Driver maintains a GPA of 3.0 – 3.4, then School Days driving shall be limited solely to Driver’s obligations under Paragraph 5, above. If Driver maintains a GPA of less than 3.0, then in addition to the limitations provided directly aforesaid on School Days, weekend driving shall be limited solely to Driver’s obligations under Paragraph 5, above. 9. Insurance. Soft Touch agrees to pay for Driver’s burdensome, yet truly necessary and required-by-the-law of this great land of ours, liability Insurance if Driver maintains a GPA of 2.5 or higher and engages in one extracurricular activity each term/season, or engages in regular volunteer work. Paid employment (also known as and called “Work”) does not count as an extracurricular activity. If Driver chooses to not take advantage of the wonderful opportunities to explore such fantastic extracurricular activities as sports, drama, debate, mock trial, yearbook, newspaper, chess club, math club, choir, etc., etc., or engage in a regular volunteer activity such as candy stripe, working at a local food shelf, church work, etc., Driver will be responsible for paying the burdensome, yet truly necessary and required-by-the-law of this great land of ours, liability Insurance. 10. Curfew. There shall be a burdensome curfew imposed upon Driver. On School Days, curfew shall be 10:00 pm. On weekends, and other non-School Days during the Driver’s 16th year, curfew shall be 11:00 pm. As of Driver’s 17th birthday, curfew on School Days shall remain the same, i.e., 10:00 pm, but that curfew on weekends and other non-School Days shall be 12:30 am. 11. Additional Restrictions. Soft Touch reserves the right to impose additional burdensome and unreasonable restrictions upon Driver’s not-God-given right to operate a Motor Vehicle upon the streets and byways of this great land of ours. 12. Interpretation. This Driving Contract shall be interpreted under the laws of the State of <home state >. Time is of the essence in this Driving Contract. If any provision or part of this Contract be deemed unenforceable, it shall not effect the valid provisions of the Contract, and said valid and enforceable provisions shall survive. Dated this <day> of <month>, <year>. * The 2-second rule is an easy way to stay a safe stopping distance behind the car in front of you, at all speeds. Choose any landmark, such as a sign on the side of the road, a bridge, or a shadow across the road. When the car in front of you passes the landmark, begin counting “one thousand one, one thousand two.” Your car should not pass the landmark before finishing the complete count, i.e., two seconds. This rule works at all speeds. Increase the count for slippery conditions. Maintain the 2-seconds even in rush hour traffic, as tailgating increases your sense of anxiety and stress. Stop light rule: After coming to a complete stop at a light or stop sign, you should be able to see the rear tires of the car in front of you touching the pavement. If you can’t, you have increased your risk of injury as your car slams into the car in front of you in the event you are rear ended at the stop. Inside the car and body parts rule: Keep your ego, voice, music and all body parts inside the car. Do not yell or point body parts or any object at other drivers. Tailgate rule: If you follow the 2-second rule, you won’t tailgate. If another driver is tailgating you, pull into the right lane. If the driver continues to tailgate, drive to an open business and alert the police. Equipment rule: Adjust your seat belt, seat and mirrors, and put on your seat belt BEFORE before starting the car. Use your seat belt and turn signals at all times – make using these tools a habit. Do not use a cell phone while driving, and do not take your eyes off the road to fiddle with the radio or sound system in the car while the car is moving. Parents – think about the following BEFORE you give your consent to your child’s getting a driving license. My own rules (see above), adopted after being a cab driver for six years and witnessing all kinds of reckless driving and stupid behavior on the roads of this great land of ours, include: rigorously teaching, and reminding teen drivers any time it is violated, the 2-second rule; the teen driver must have a minimum of 5000 miles driving, with a parent in the car, in all kinds of situations and all kinds of weather, including the most dangerous and confusing intersections and interchanges they will likely use in their driving, before the teen gets a drivers license. This latter rule will often result in most teens not driving until they are 17 or 17 1/2. And have them watch this video, from the Australian Transport Accident Commission, a compilation of 20 years worth of such safety films. WARNING – THIS VIDEO IS VERY GRAPHIC. And parents, you should watch it, too. Keep a driving log documenting at least 50 hours of adult-supervised driving, including 10 hours at night, over a six-month period. Only when that’s completed should the teen drive on his or her own. Parents should also make a point of driving with their kids under a variety of road conditions, including rain, snow and rush hour. Although it is often inconvenient, forbidding a teen from driving after 9 p.m. and not allowing other passengers unless an adult is present can sharply reduce risk. The greatest benefit comes if the curfew and passenger limits are imposed until the teen reaches 18 years of age. This next appeared in a letter to the editor in The Washington Post, Sunday, March 24, 2002. 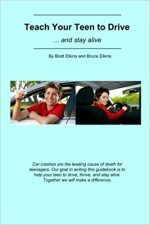 The letter writer was Phil Berardelli, who has written several books on safe driving, including Safe Young Drivers: A Guide for Parents and Teens and The Driving Challenge: Dare to be Safer and Happier on the Road. Every day, 110 of us are slaughtered on the highways–a World Trade Center’s worth of casualties every 3 1/2 weeks. Teenage drivers account for one-sixth of that figure, and as far as highway fatalities are concerned, age 16 is Ground Zero. Sixteen-year-olds are three times more likely to die in a crash than 17-year-olds, who are in turn four times more likely to die than everyone else. That’s only for single occupants. The risks grow when teenagers ride with teenagers, especially in groups of three or more; when the hour grows late; and when speed, alcohol or drugs are involved. About one in 20 teens is injured in a crash each year. About one in three is involved in a collision. Nearly 100 percent damage their vehicles in the first year. Every parent should know these statistics, because they represent what is at stake when the inevitable hassles to get a driver’s license begin. – Take responsibility for the process. 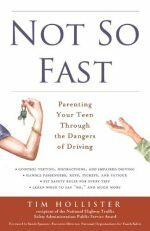 Judge whether a particular kid is ready to drive at 16; if the answer is no, delay the start of instruction. 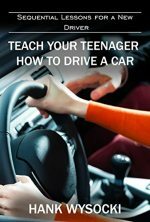 – Spend 100 hours or more teaching the teenager in the vehicle. 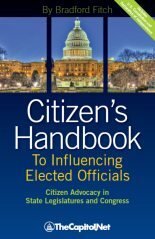 Expose him or her to all common highway situations, starting with the basics and increasing the level of complexity. – Impose strict limits on newly licensed teenage drivers for at least six months (curfews, no passengers, no expressways). Be emphatic about no drinking or drugs. – Show common sense when choosing a vehicle for an immature driver with limited skills. 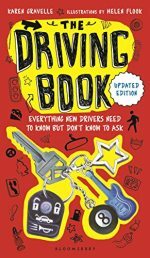 – Be willing to take back the keys at any time the teenager reveals a lack of commitment or responsibility. 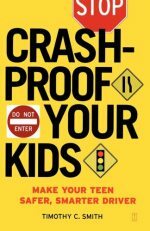 Far too many parents seem shockingly clueless about the most dangerous activity their kids will face. After spending years carting their children to music lessons and sports practices, they settle for a few hours of behind-the-wheel instruction for a driver’s education class or a commercial driving school and then hand their sons or daughters the keys and wish them luck. 5. Scream and tense up. 4. Say nothing, so the teen doesn’t know if she’s doing well or not. 3. Imply that they will never get a drivers’ license without years of study. 2. Put off talking about or doing driver training. 1. Fail to practice with their teen. 2. Put your car in Reverse. When your car’s rear wheels are even with the other car’s back bumper, turn your steering wheel one full turn clockwise (to the right), so the rear of your car begins to turn in towards the curb. 3. Reverse slowly until your steering wheel is even with the other car’s back bumper (at this time you should be at a 45 degree angle to the curb, and about halfway into the space), then straighten your wheels by turning your steering wheel one full turn counterclockwise (to the left) as you continue to slowly back into the empty space. 4. Continue to reverse slowly. When your front bumper is clear of the other car’s back bumper, turn your wheels to the left by turning your steering wheel one more full turn counterclockwise (to the left) and reverse slowly until you are parallel with the curb. Stop before touching the car in the space immediately behind you. 5. Pull slowly forward and turn your steering wheel clockwise (to the right) and straighten your car in the space. You should be within 18 inches of the curb. Leave at least one foot between your car and the car behind and the car in front of you. 6. Put your car’s transmission in Park and set the parking brake. If you are parked on a hill, turn the front wheels so that the if the car rolled down the hill the front wheels would roll toward the curb. 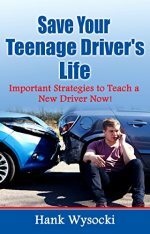 Save Your Teenage Driver’s Life: Important Strategies to Teach a New Driver Now!